Komoni means solutionn to design problems. komoni supports you by researching, analyzing and creating the strategies needed to develop the tools that you need. Nowaday, design is not only applied exclusively to the development of an image, it is applied to the creative and precise solution of real world problems in all areas of life: art, education, administrative, marketing and many other vital areas. Created by the Integral Designer José María Campaña, komoni offers a series of services that provide design solutions to your problems. komoni offes a series of services so that you can succesfuly cover your need in the design field. We offer consulting to solve your design problem by the use of information technologies. Likewise we can help you design a research that determines your requirements in a concise an precise way. We can help improve your users satisfaction at the moment they use a product or receive a service, in a way that the experience they receive is the best and most enjoyable. We develop a design that is appropiate to the relation with the user, the purchase and buying experience of a determined product. We help with the detection of specific problems, their components and possible solutions. Likewise, we can make user research so that you focus your resources in to targeting the correct user base. We design and develop digital tools as well as physical tools that are destined for us in schools, universities, museums, instalations and all kinds of festivities. We can create apps that are tailored to your needs. We can target iOS and Androd operating systems as well as web. We can make websites that are tailored to your particular needs. Wether you need to announce a product or servis or you wan to sell it or produce or receive information. Pickupon is a tool that visualizes your company data. It is targeted to small work teams. It fetches data from your company chat tool and other physical media. The information is displayed on aboard that all the members can see. It has an interface that enables the users to visualize any kind of data. Currently it is in alpha testing. It is being developed in cojuntion with Obata Yoichi. Installation directed to kids. It has the objective to concientize about the complexities of generating electricity. It consists of a series of panels that generate electricity when the kids jump pn them. After jumping for a certain amount of time, enough electricity is generated to take a picture, which is projected on a wall. 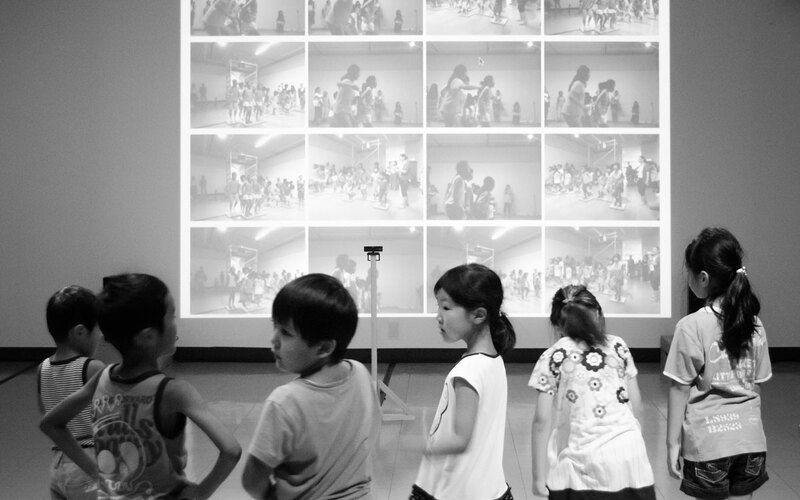 It was exhibited at Aichi Children Center and the Miyagi Museum of Art in Japan. It was developed in conjunction with Tomita Hiroki. keepthedot is an experimental iOS and Android game. The game is about Punctum, Punk for friends, a geometrical point that is being chases by the Bidimensional Forces. The Bidimensional Allies came to help him, but he must remain under their shadow for the longes ammount of time pssible.